Whether you need to simply set up a brand new email on your laptop, desktop, or Mac, re-route it through a filtered service, or are looking to sync your email into your iPhone tablet or iPad, White IT can help. With our friendly and experienced team we’ll get you up and running in no time at all. With our remote service we have the ability to set up your email both quickly and easily. After having your permission we’ll dial into your system and make the necessary changes needed (in the case of desktops or laptops) saving you both time and travel costs. 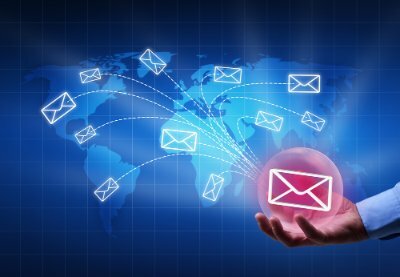 Whether it’s Apple mail, POP 3 or an alternative email server such as Plesk, we have a good working knowledge of a wide variety of email servers. So if you need a fast and efficient service, you can rely on White IT. It’s understandable that while some clients are happy to be served remotely, others would prefer to be dealt with face to face. That’s okay too because we have a highly skilled team based right here at our Wynnum Workshop, so if you’re passing or reside in the area then swing by and we’ll help you set up your email in person. At White IT we not only pride ourselves on giving the customer a great experience but we know how valuable your time is too. This is why we offer flexible, time-saving solutions to suit your needs. For further information pertaining to email set-up procedures, or if you need email trouble-shooting advice, contact us and put us to the test. We guarantee that you’ll be pleasantly surprised. Email is a primary vector for infiltration of your computer systems, the best way to protect your business is to put email filtering in place. White IT, has partnered with Mailguard who are an industry standard in email security against Zero Day attacks, Ransomware and phishing emails.